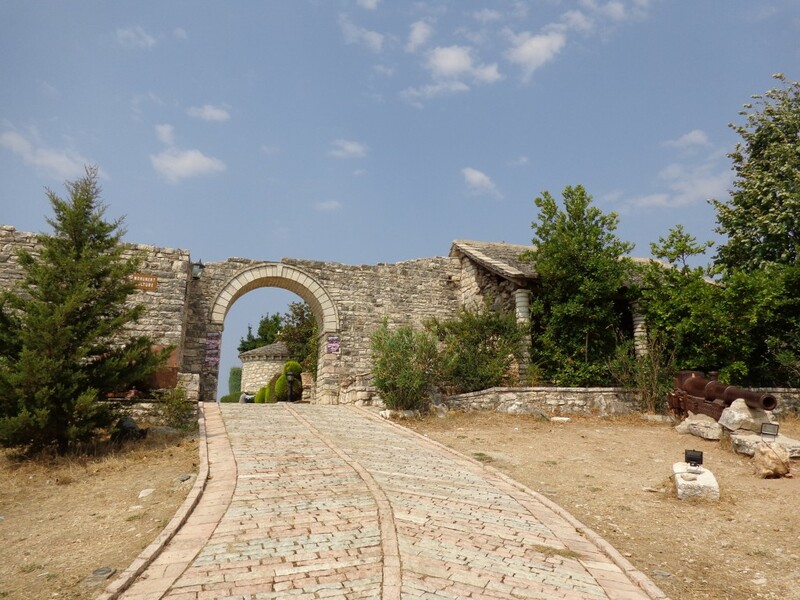 Lekursi Castle (Kalaja e Lëkurësit | Lëkurësi Castle) was built in the early 16th century by Sultan Suleymani and is located on the top of a hill in Lëkurës looking directly over Sarande. 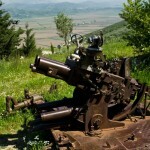 It’s located about 3-4km away from the center of Saranda. 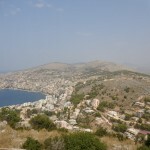 The castle was initially built to protect the city of Saranda from invaders accessessing the coastline by boat. From the castle you have great views of Corfu and Ksamil islands. The road leading up to the castle is not in great condition and if you’re getting a taxi from the center of town, if they know you are a tourist they will charge up to 4x what a local would pay so be preparred to haggle. In the summer the castle is sometimes used as a small concert venue. 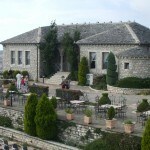 Opening hours for the Castle of Lëkurësit (Castle of Lëkurësi) – 10am – 11pm. 7 days a week. You are still able to walk around the castle outside of these hours. 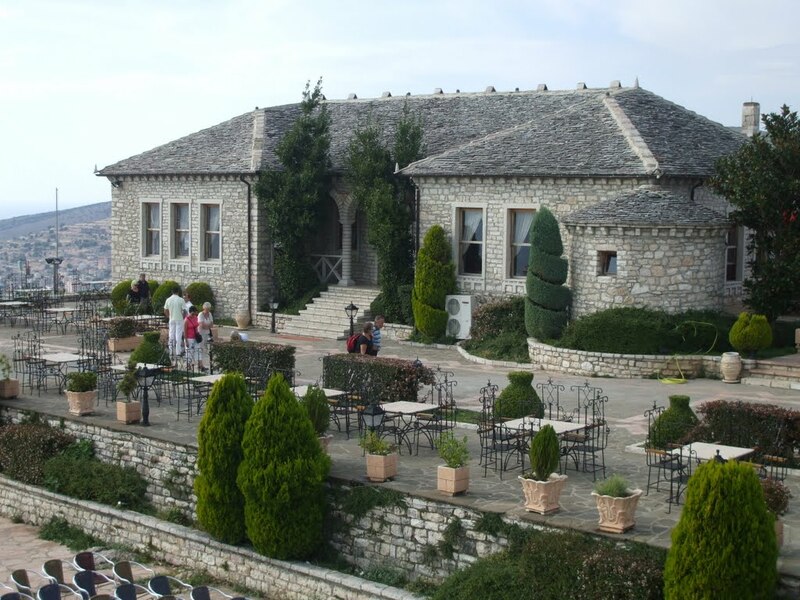 There is no entrance fee to visit Lekursi Castle. It’s completely free. 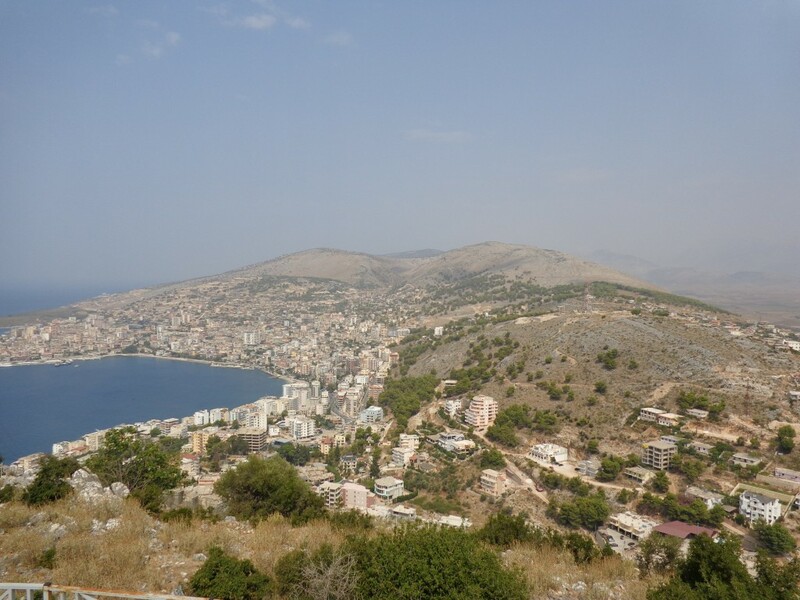 Taxi from Saranda center to Lekursi castle is around 500 Lekë (1000 Lekë return) but if you’re prepared to haggle you can get it for as low as 200 Lekë (400 Lekë return) during the low season. If you want a return journey then arrange a time for the taxi driver to come and pick you up, give them your telephone number, take their card/number and only pay for one leg of the journey at the time, never pay in advance! If you are looking to get to the Lekursi castle for cheap you can always walk. 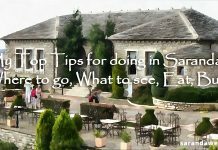 It will take around 45 minutes – 1 hour to walk there from Sarandë town center (around 4km away) but it’s up hill most of the way so you’ll need to be quite fit. Get there early and enjoy cooler walking conditions. Access to the castle is good for walkers but road signs are limited. Alternatively you can get a bus to drop you on the main road which passes the road which leads up to the castle. From here you can walk to the castle or hitch-hike to the top. Walking will take around 20-30 minutes, hitch-hiking considerably less. Again, the road leading up to the castle is quite steep and in the summer sun you’ll sweat, a lot! If you’re on you own and at night or are a group of girls, please be cautious, some Albanian men can be quite intimidating and will approach you. [adsense]A very nice restaurant is located inside the castle also known as the ‘Castle Restaurant’. 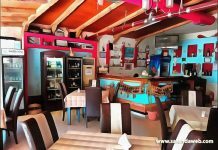 Inside the restaurant is you will find a well stocked bar, plenty of room and a good atmosphere (when it’s full) and occasional live music being played in the evening. The restaurant itself is lacking any internal decorations and appears a little sparse but that’s OK in my opinion. I’ve eaten there a few times and have had mixed experiences with different dishes. Any seafood dish has tasted good and has been reasonably price yet all other dishes seem to be some what bland and as a result over-priced (I would advise against getting any Italian cuisine!). I’m not sure whether this is because different chefs have been working when I’ve visited or whether they simply don’t cook top quality food. It’s ok but you might be disappointed with the meal served sometimes and service times can be a bit of a mixed bag, on one occasion it took almost an hour for our food to be delivered to us and there were only a few other people in there eating. From talking with my friends who have been there, it’s not possible to get kids meals or customize the menu in any way which is a shame if you’d prefer not to have some ingredients in your dish. Also, you have to purchase all side dishes separately which can drastically increase the price of the meal. One thing I will add though is that the prices for drinks are not displayed on the menu, or at least they weren’t when I went there. I suspect this is to charge more for drinks on the end of the bill. If in doubt, ask to see the prices for drinks before ordering. The best time to go and visit the castle and maybe have a bite to eat would just before sunset as the views are spectacular; however, during this time you will find a lot of tourists also doing the same so if you want the place to yourself I’d suggest going a little. The castle layout is almost square: 42 x 44 m with two rectangular towers on the western wall. The circular towers served as a warehouse and are equipped with turrets, about 1.20 m apart. By placing the towers in their current position it is clear that the control of the castle was directed towards the sea. The walls are built with lime stones, bound with mortar and reinforced with wood. 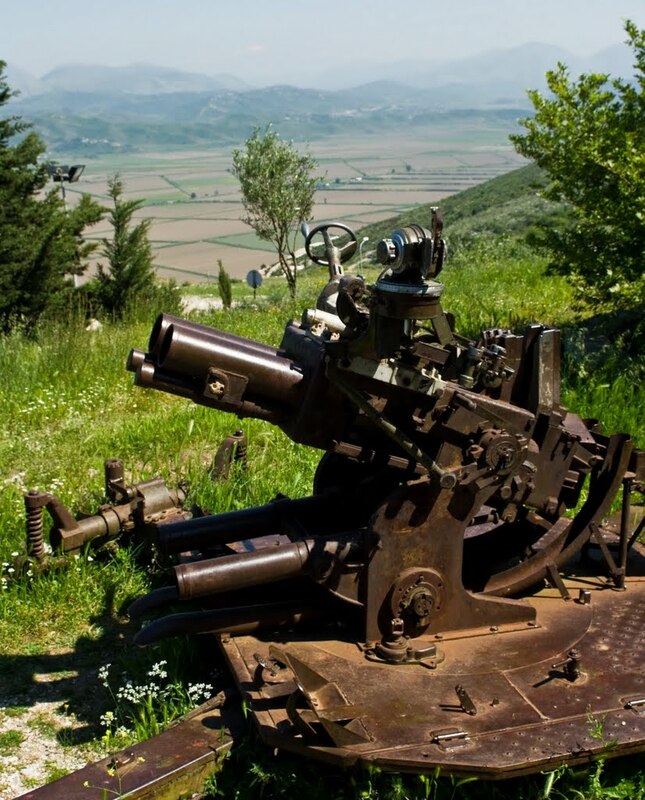 The external wall reach 6.70 -7 m and have a thickness up to 2 m.
Turrets have height of 0.50 m, width of 0.35 m. The cross-dividing walls are not so typical for firearms, they are larger than the turrets used at Ali Pasha. The castle once held a garrison of about 200 soldiers. 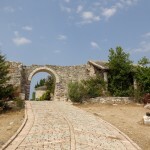 Lekursi castle was built in 1537, when Sultan Suleiman attacked Corfu and needed to take control of the surrounding area and the road leading to Butrint. During the off-season you’ll likely find that the castle restaurant is closed (as with most other shops and attractions during the winter) but you’re still able to go up there with a bottle of wine to sit down and enjoy the views. It can get a little cold in the winter months so make sure you take some clothes to keep warm. 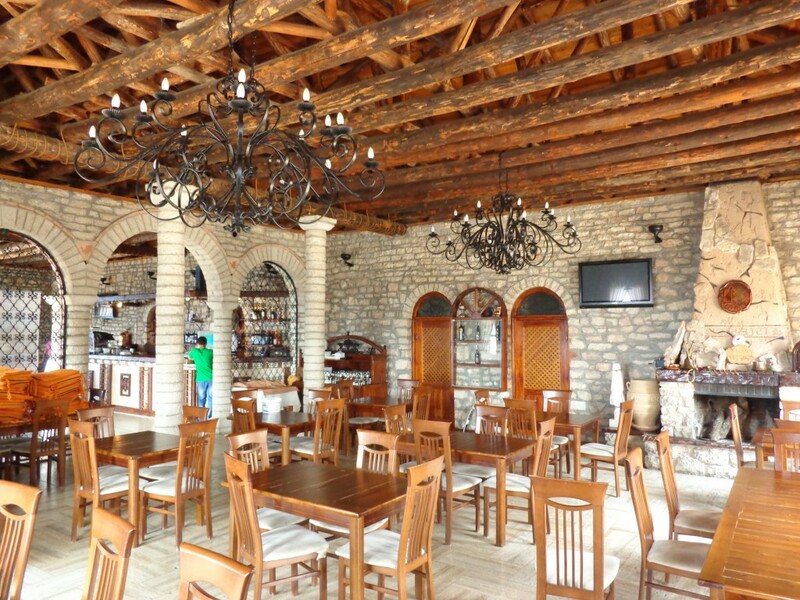 Visiting Lekursi Castle is a must if you’re in Saranda. I would recommend getting up early and walking up to the castle to arrive 30 minutes before it opens. By doing so you’ll enjoy the cool morning air and enjoy clearer views of the surroundings. Tour groups comes later in the day so you’ll likely have the place to yourself until around mid-day. 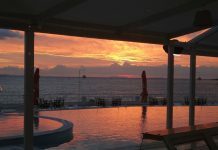 Having an evening meal here can be hit or miss but if you stick with a seafood dish and wine you’ll likely not go wrong. Service isn’t amazing, but satisfactory in my opinion and prices are reasonably good, though a little expensive if compared with other places in Albania. Great views are to be had all around, but there can be quite a lot of litter scattered around which can spoil it sometimes. A great way to speand an evening or half day! I’d love to hear your experiences of Lëkurësi Castle, if you’ve been before or have any questions please leave them in the comments section below! Thanks for the info Paul, it’s very helpful! 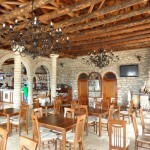 I’m a regular visitor to Saranda and have been to the castle many times before. I’ve never found the food to be that great and the service is equally as bad though I guess if you’re a low-paid Albanian hostess or barman and you have to deal with tourists every day then you’d probably act in a similar fashion. Occasionaly I’d meet a nice staff member though so think it is hit or miss like you said. I often find that I can get a return taxi to the castle for 400Leke return if I speak to the driver in Albanian so think you’re 1000leke prices are probably inflated tourist prices. Off season, I’d expect to get a return for 300leke but that’s another story. I’m also not sure about ‘concerts’ being held there, but there is often live music/live dancing, which although can be nice, can often ruin the ambiance of the restaurant if trying to have a meal there. Anyway, many thanks for the writeup and good work on the site! Thanks Jason! Great to have some input from a ‘local’! !